America’s national parks might seem like an obvious refuge from city smog. Not so, according to new research that finds popular parks’ levels of ozone—a major air pollutant—match those of the country’s largest metropolitan areas. 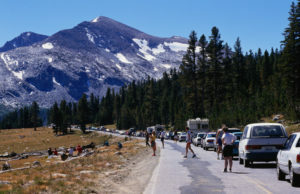 The study, published Wednesday in Science Advances, also suggests national park visitation drops when ozone levels soar. But some experts argue it is too early to determine whether air quality warnings influence the travel decisions of park-goers. Researchers agree the best way to solve the ozone problem in national parks is to address it upwind in cities, whose pollution rides the breeze into America’s wild places. Ozone is a complicated gas; it can be beneficial or harmful to humans, depending on where it is in the atmosphere. Six miles above Earth’s surface, the naturally-occurring “ozone layer” blocks most of the sun’s cancer-causing ultraviolet rays. But at ground level, where we live and breathe, the gas poses respiratory hazards. This surface ozone forms via reactions among nitrogen oxides and volatile organic compounds in vehicle exhaust, and as byproducts of industrial processes. (Such organic compounds can also originate from vegetation). If inhaled, ozone can inflame the throat and lungs, especially in people who are young or have respiratory problems. If inhaled, ozone can inflame the throat and lungs, especially in people who are young or have respiratory problems. Heat and sunlight catalyze the formation of ground-level ozone, so the threat of inhalation grows more menacing in summer, the most popular season for national park visits. The research team took the average of yearly ozone readings at 33 national parks from 1990 to 2014. They compared those numbers to ozone levels from the country’s 20 largest metropolitan areas. “My prior [expectation] was that these two things would be really different,” said Gabriel Lade, an environmental economist at Iowa State University who co-authored the study. Lade notes most people view air pollution as an urban scourge. But his team found that since 1992 the maximum daily ozone levels in national parks matched those of cities, with trends from the two settings “lying on top of each other,” according to Lade. “It was one of our more surprising findings,” he said. The number of days when ozone concentration in the air exceeded 70 parts per billion halved in both cities and national parks between 1999 and 2014, however. Lade and other experts attribute this drop to the success of the Clean Air Act passed by Congress in 1963 and amended in 1990 to specifically address surface ozone. The observation that park visitation dipped when ozone spiked “tells you that people value air quality,” said Lade, who surmises that visitors heeded air quality alerts and stayed home on high ozone days. 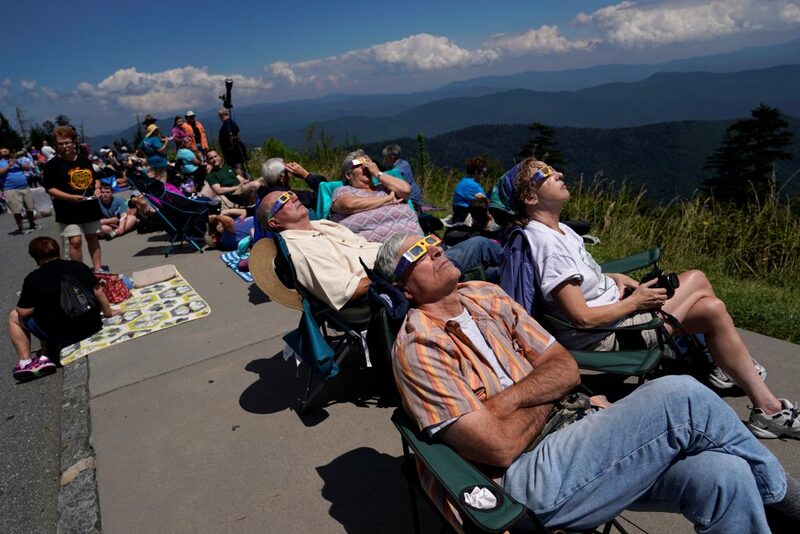 Other researchers are unsure of the connection between ozone warnings and park visitation. “Correlation is not causation,” said Joel Burley, an air pollution scientist at Saint Mary’s College of California, who was not involved in the study. Burley notes that the researchers did not pinpoint why people decided whether to visit a park. He is skeptical that travelers who, for example, reserve campsites in Yosemite National Park months in advance would abandon plans to visit so easily. “How many visitors are actually changing their behavior after checking air quality?” he asked. “It’s a fascinating study,” Burley said, but the next step should be to determine whether air quality alerts really impact park visitation decisions. “They didn’t measure that,” he said. Lade points out that the causes of ground-level ozone vary from park to park. In California, the chemicals that combine to form ozone waft from cities to Sequoia, Yosemite and Joshua Tree National Parks. “A lot of this pollution is blowing up from the Los Angeles area,” Lade said. In the eastern U.S., parks including Great Smoky Mountains and Cuyahoga Valley bathe in these ozone-forming chemicals from nearby coal and industrial production. Because wind transports these compounds so easily, some experts are not surprised by the finding of ozone in national parks. “Ozone takes time to form in the atmosphere—it’s not emitted directly by cars or power plants,” said Dan Jaffe, an atmospheric scientist at the University of Washington who was not involved in the study. He notes that ozone itself often forms only after its component chemicals have blown away from their sources. “We’ve known for years that ozone is higher outside of cities,” he said. So Jaffe argues it makes sense that even remote parks could have elevated ozone levels. “Yosemite is known to have some of the highest ozone levels in southern California,” he said. The researchers claim their study demonstrates the extent of the air quality problem throughout the national park system—more than one-third of park visits occur when elevated ozone levels may pose inhalation risks. To limit ozone in parks, Jaffe and other experts agree that capping emissions in cities is the best strategy, as little can be done within the parks themselves. Even with heavy traffic during peak visitation, car emissions in parks have only a moderate effect on air quality, according to Andrzej Bytnerowicz, a retired air pollution researcher formerly with the U.S. Forest Service who did not participate in the study. Rather, Bytnerowicz said that purifying park air will entail “addressing issues upwind—hundreds, even thousands, of kilometers away.” Despite the study’s finding of declining ozone in both cities and parks between 1990 and 2014, Bytnerowicz cautions this encouraging trend may be reversing in certain areas. In 2017, ozone-rich smog in Los Angeles crept upward for the second straight year. Whereas some officials blame high temperatures, Bytnerowicz said underreported industrial emissions and increased truck traffic could also be contributing factors. He believes curbing these emissions sources are the key to cleaner air in the most polluted parks, like Joshua Tree. This article is reproduced with permission from Scientific American. It was first published on July 18, 2018. Find the original story here. Daniel Ackerman is an ecologist and science writer based in Minneapolis, MN.